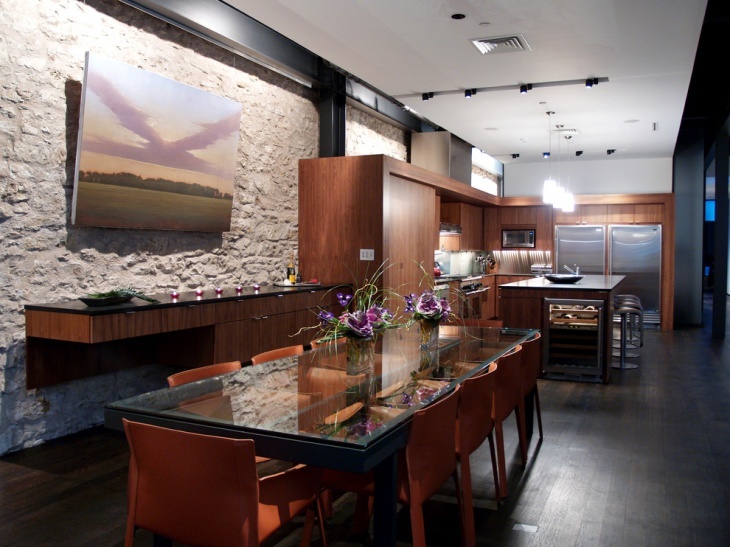 Doesn’t a conventionally set up kitchen looks boring? 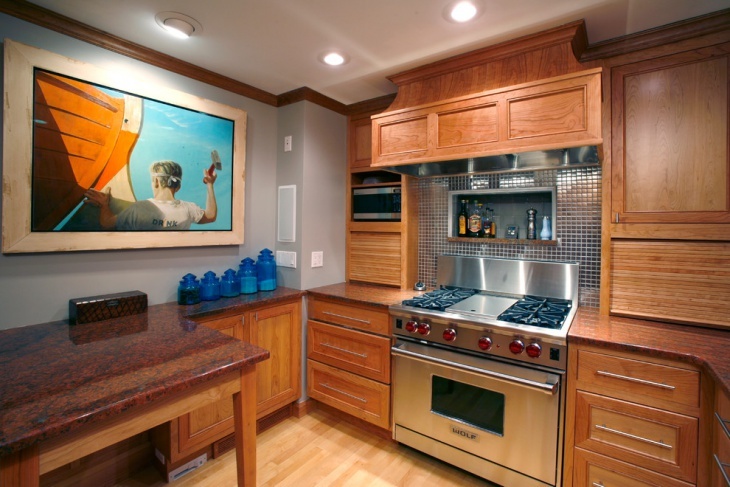 Kitchen Wall Art can, however, add an element of pleasure, mystery, and delight in the kitchen. The wall arts accentuate the wall decor. Whether canvas paint, or a framed artwork or even a metal or wood art, the Kitchen walls vividly stand out in charming elegance. When the kitchen is decorated with the latest furniture, accessories, and cabinets, a small artwork can add to the creative atmosphere even further. 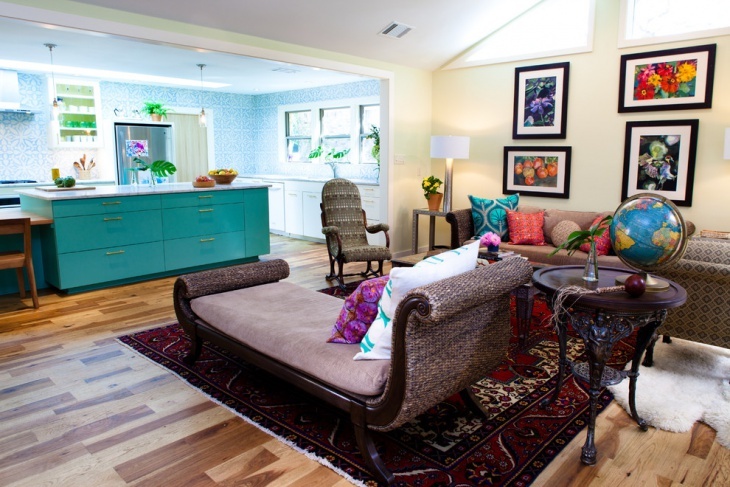 Generally, the kitchens nowadays combine the dining area which makes the paint frames even beautify the combo area. 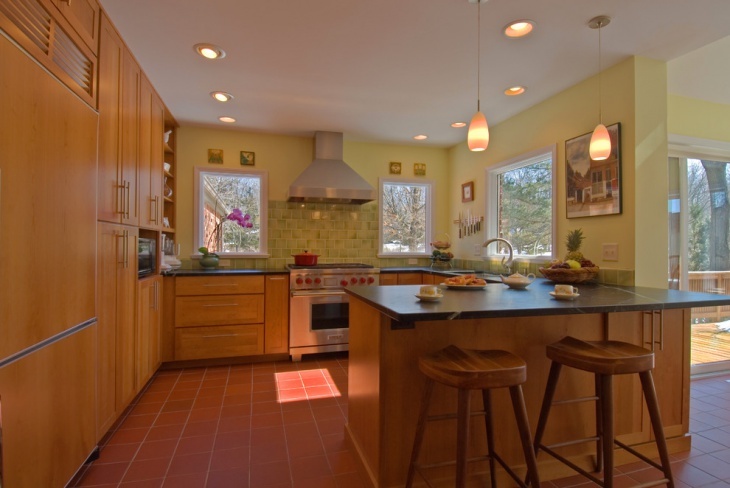 The color of the kitchen walls, furniture choice, their shapes and size, lights inside and outside cabinets need some attention driving details while designing the interiors of the kitchen. 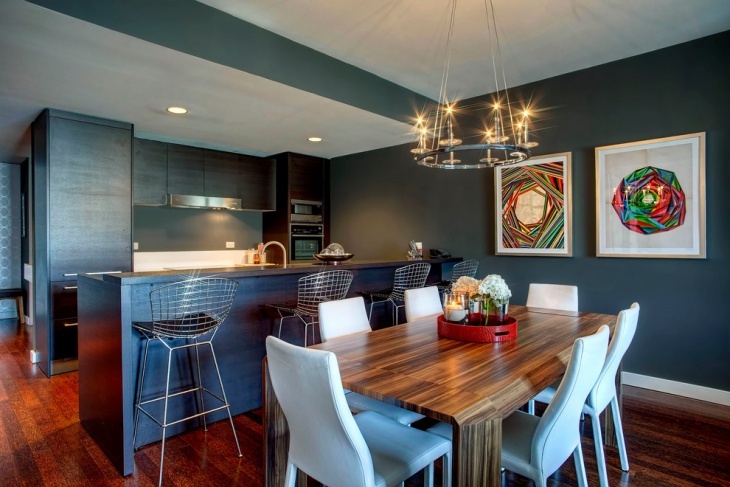 Too glossy or too dark wall colors can be a turndown, however, textured paints give a thematic look to the kitchen. 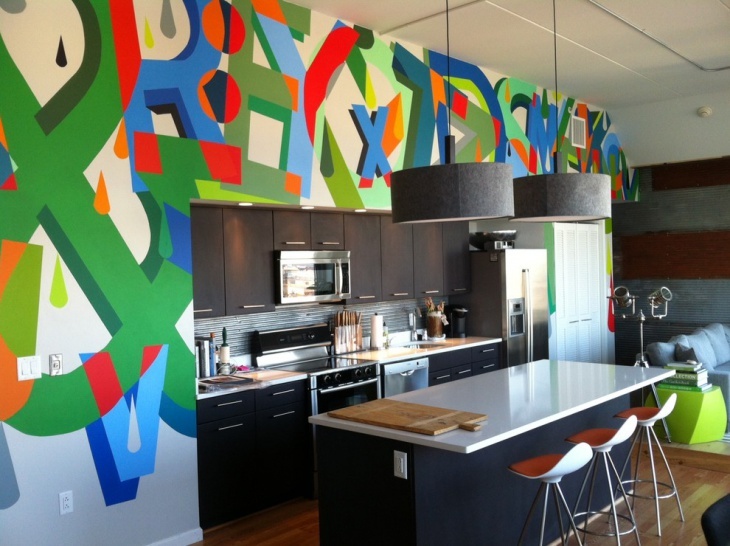 Such walls also give a chance to use less jazzy paint wall arts to accentuate the look further. The Italian styling of a kitchen is prima facie very neat and stylish combining the dining region in the large kitchen. 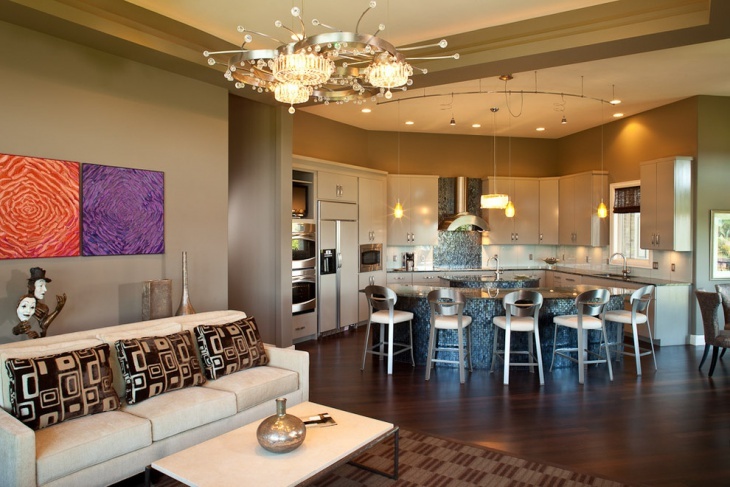 The prominent eye catchy elements of the kitchen include the attractive lighting fixtures and the wall arts. 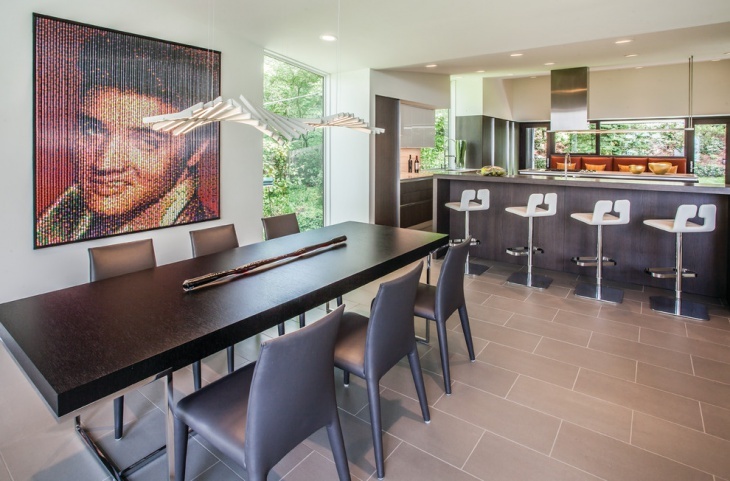 The wall art of the favorite celebrity can stand out on white walls. The enthusiasm to enter the Kitchen is doubled with bright colors like green, open atmosphere with raised ceiling and beautiful lights. 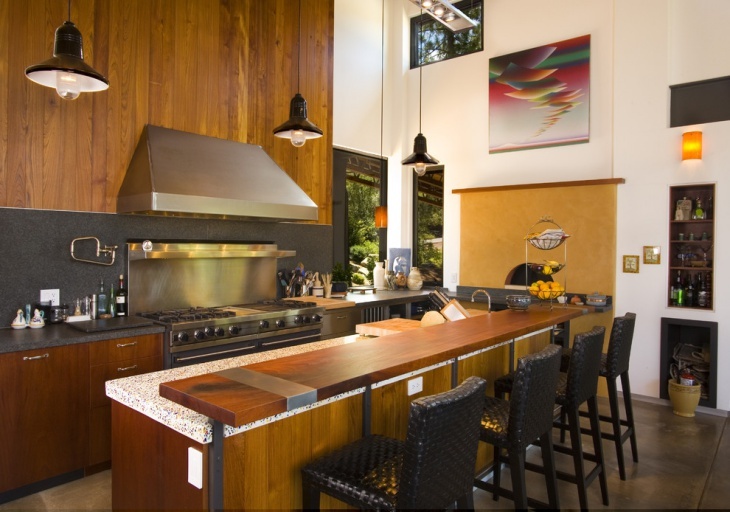 Besides chimney, islands, sinks which constitute the basics, the picturesque wall art definitely makes the whole efforts of enriching the kitchen atmosphere complete. 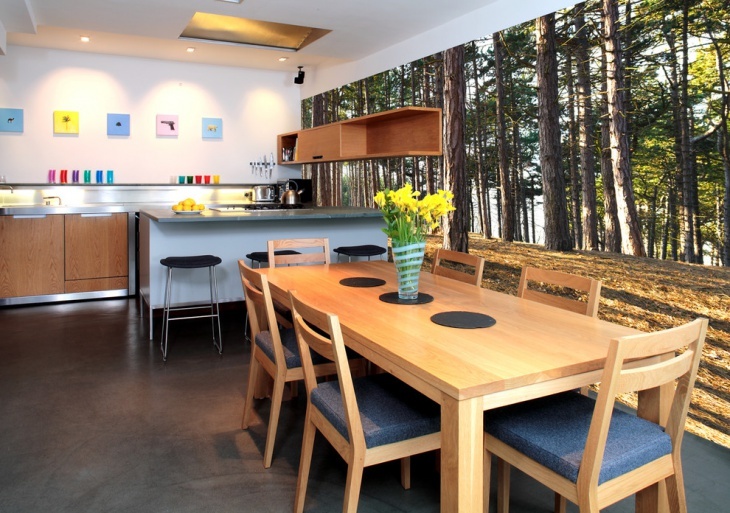 A small kitchen is never an exception when it comes to decorating the walls with wall art. With modular kitchen cabinets, all storage convenience is met in a limited space and the empty walls can be used to affix colorful wooden frame paintwork. 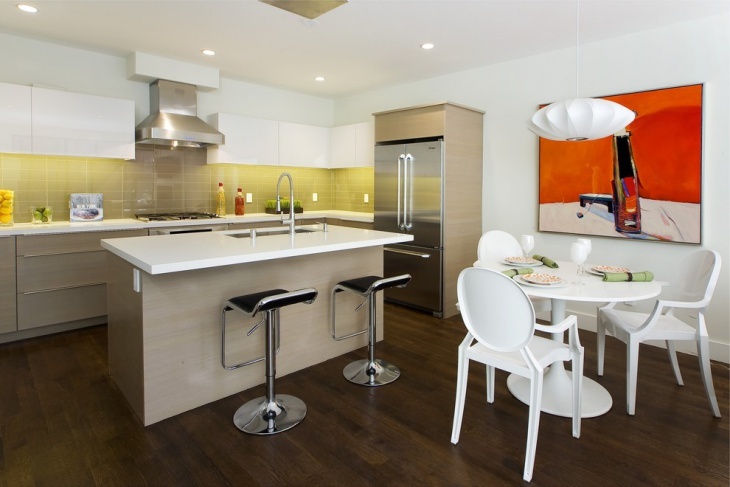 A large kitchen is a great blessing as this can be a good dining area as well for the family. With a stainless steel chimney hood or tiled walls or the beautiful chairs, the kitchen definitely gets a lift in terms of beauty. 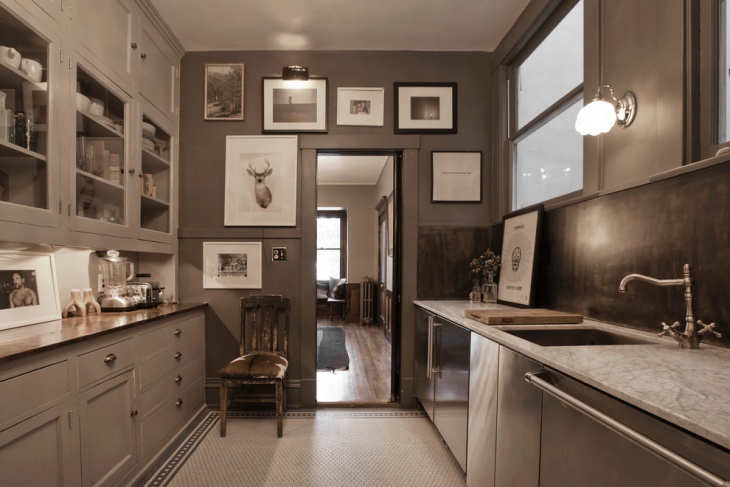 The gallery type kitchen layout also allows promising decorations with beautiful painting frames. 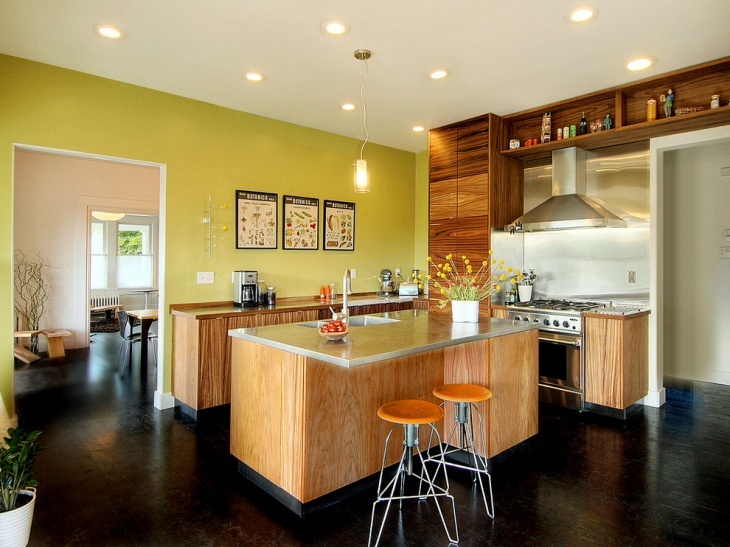 The Kitchen with wooden cabinets definitely is perfect and magnetic in appeal. The colorful artwork on the light color walls in the backdrop also make the place even more vibrant. Moving away from traditional browns and grays, the blue and white combination romanticizes the whole appeal of the kitchen. 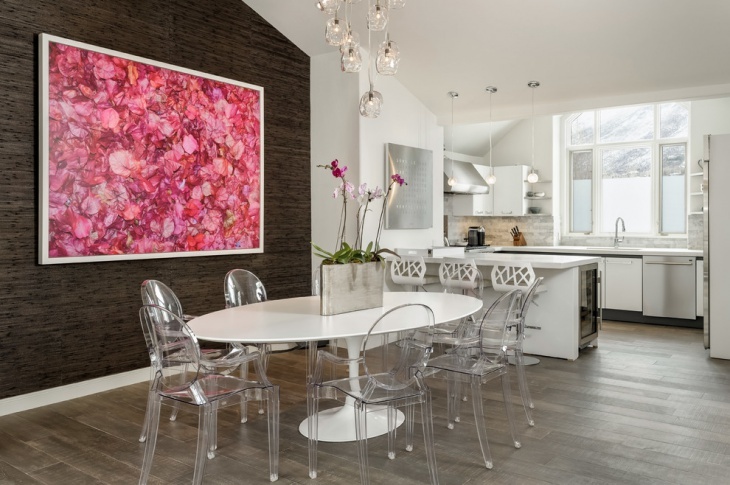 The metallic artistic carvings can make for a wonderful kitchen wall art in a modern kitchen having all the relevant amenities and a stylish dining area. A homely, traditional kitchen warm with a long stretch of wooden cabinets guaranteeing complete storage facilitation definitely is a welcome feature in a kitchen. The ceiling light drops, the art gallery with a number of artwork frames, small plantations, wooden designer stools in the island area are the additional accessories which further kindle the enthusiasm of working in a sophisticated kitchen. 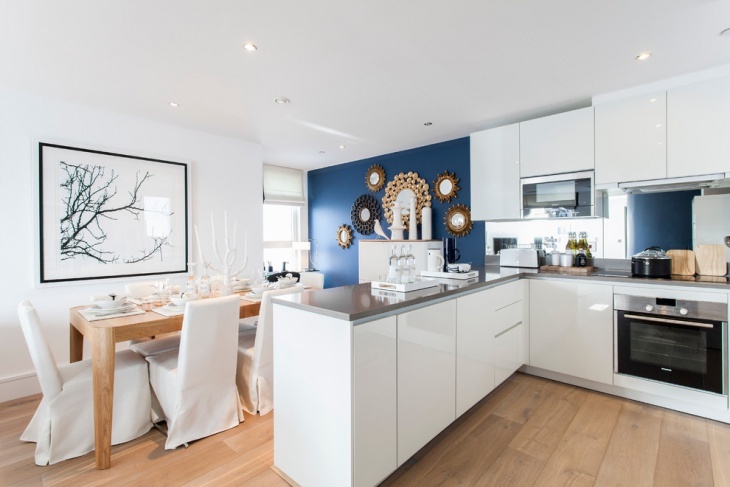 The lovely panache and the large spaciousness is experienced very well in a white backdrop. This can be truly imagined in a kitchen. Along with the excellent chandeliers, beautiful flower pots, a splashed rosy pink large artwork on the one side wall wooden backdrop looks eye catchy and splendorous. 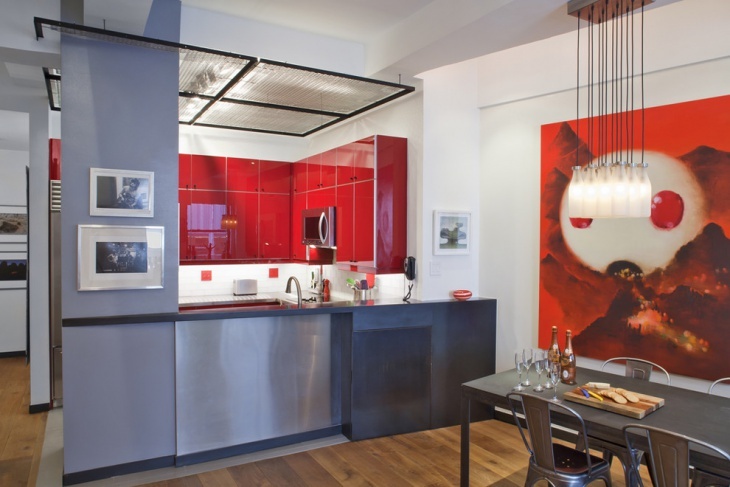 An excellent wall art can make a simple kitchen a trendy, stylish place. 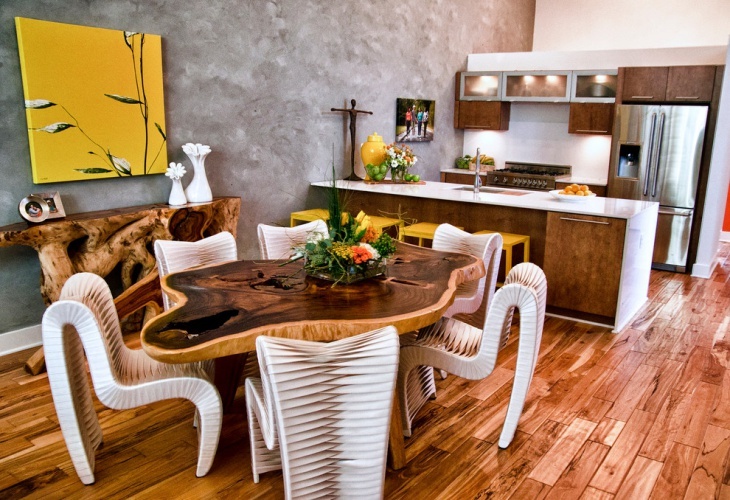 The best way to fill the void on the walls is flashing a nice metal, wooden or paint artwork. Share your unique ideas with us!